"Under Wisconsin’s Open Meetings Laws, no duly elected representative can be excluded from a meeting of the legislature." “Last December, Wisconsin Republicans ignored the will of the people and stripped the incoming Governor and Attorney General of certain powers in what was called the Wisconsin Power Grab. Not only were these actions unpopular and undemocratic, I believe they were illegal. On the day of the vote, I was on the Assembly floor at the time scheduled by Republican leadership, waiting for Senate and Assembly Republicans to end their infighting so that we could debate and vote on the proposed legislation. After waiting over eight hours with no word on when we would begin, I was forced to go home in order to attend to personal needs related to my disability. I awoke the next day to see that the legislature began the special session after a 14 hour delay at the ridiculous hour of 4 AM with almost no warning. Unfortunately, by the time I could get in my wheelchair, the votes were cast, and the special session was over. Under Wisconsin’s Open Meetings Laws, no duly elected representative can be excluded from a meeting of the legislature. In my verified complaint that I have filed with the Dane County District Attorney, I maintain that Republican leadership took advantage of the process and my disability to exclude me from participating in the special session and denied my constituents the representation guaranteed to them under the Wisconsin Constitution. If a court agrees, the law requires that the actions taken, including the votes cast, be voided, which would essentially nullify the Wisconsin Power Grab. Now, I will be the first to tell you that I haven’t always been comfortable discussing my disability. I never wanted to be defined as the wheelchair legislator. 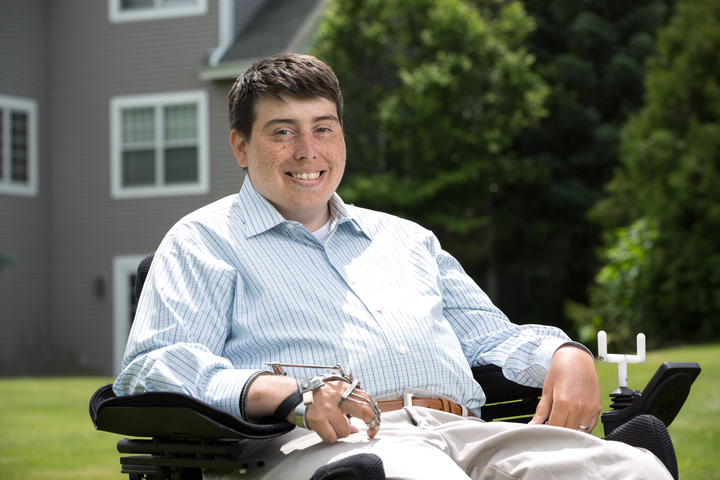 I wanted people to see me as a legislator who happens to be in a wheelchair. In fact, it was incredibly difficult for me to bring up these timing issues with my colleagues when a similar incident happened in the past. But now that this is happening again, I realize that if I don’t speak up for the disabled and the issues we face, no one will. "Wisconsin Republicans are known for twisting the facts to incite outrage and today’s attack on immigrants is no different." "Republicans are fighting to preserve the same ineffective corporate handouts that has left our state dead last in new business startups." You present a strong case for voiding the lame duck legislation.